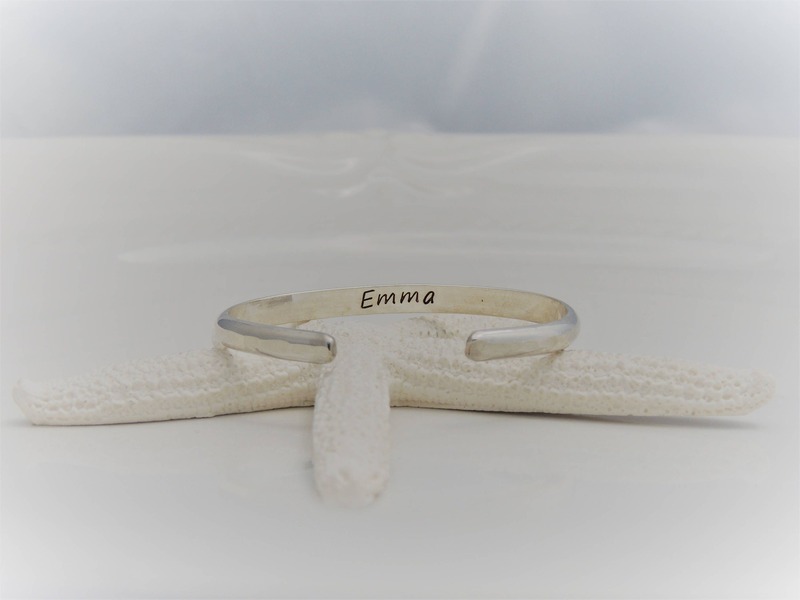 These baby bracelets are completely hand made by hand cutting the silver, hand stamping, hammering and polishing the finished cuff. 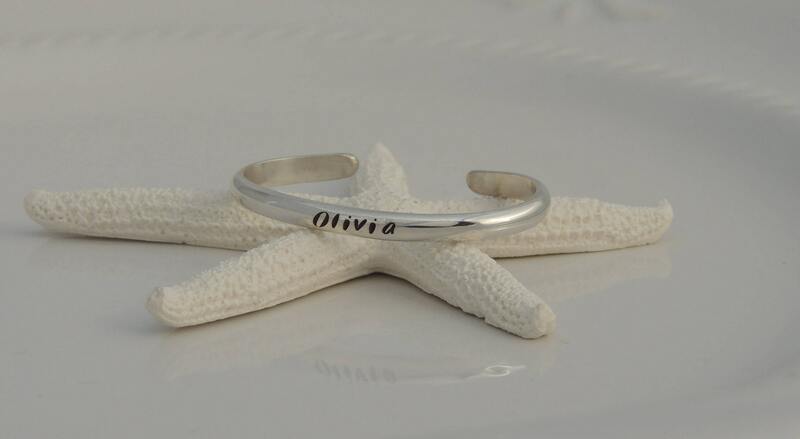 Have your bracelet stamped with baby's name, baby birth information or personal saying. Choose from a smooth finish or hammered finish. Choose from two fonts (tiny block and modern uppercase and lowercase). 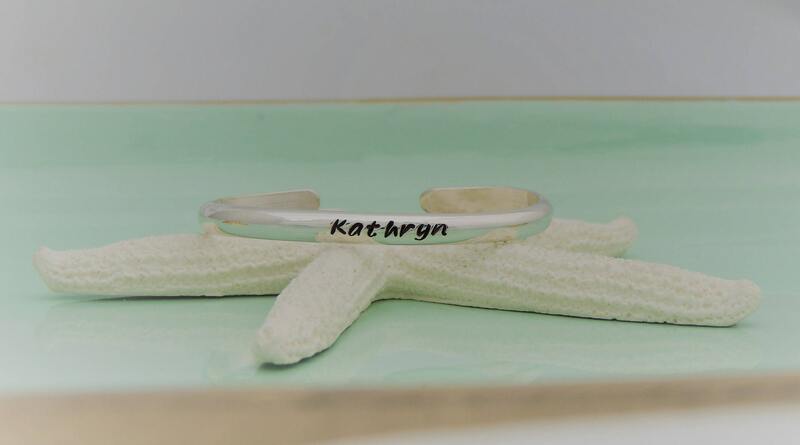 The bracelet can be engraved on the outside, inside or both sides. * If engraved on both sides, the outside will have a hammered finish. 1. Cuff measures 4.5 mm in width. 1. Choose your size from the first drop down menu at checkout. 2. Choose your engraving options and finish from the second drop down menu. 3. 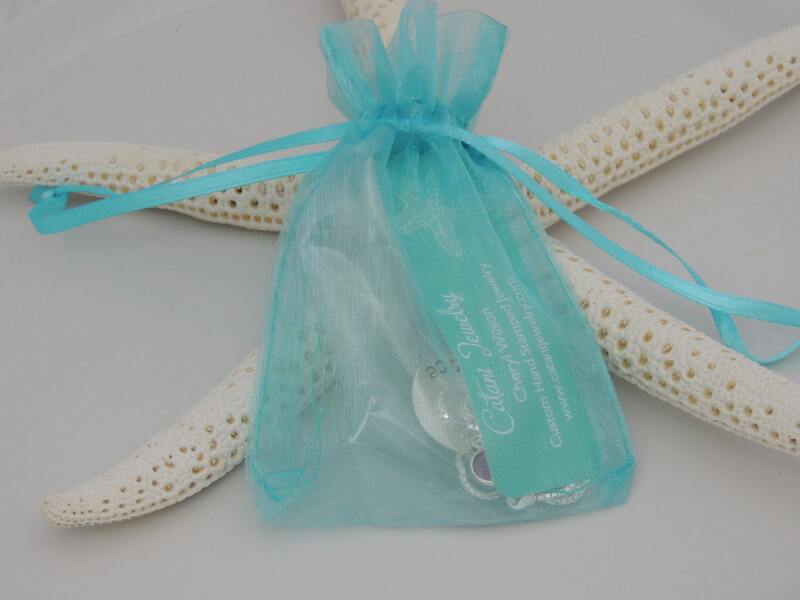 Please leave me a comment in the "notes to seller" section at checkout with the names or text to be engraved. 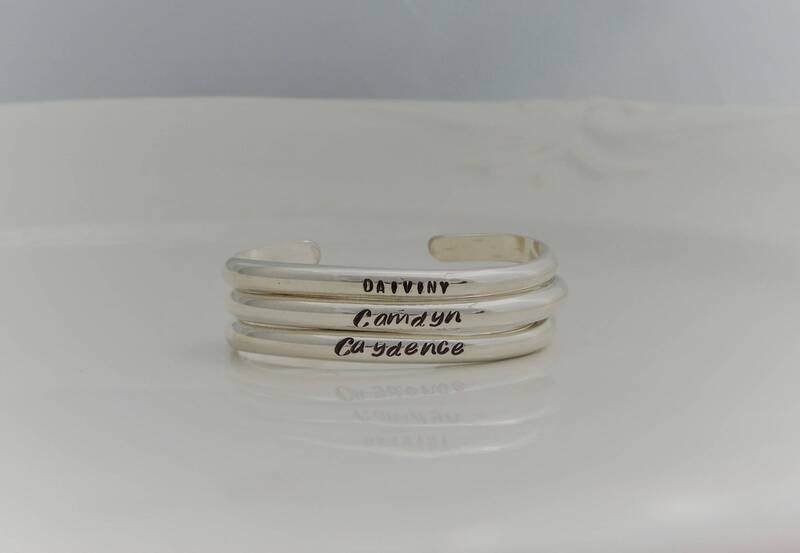 * Please note I am able to stamp a max of 24 characters on each side of this bracelet.